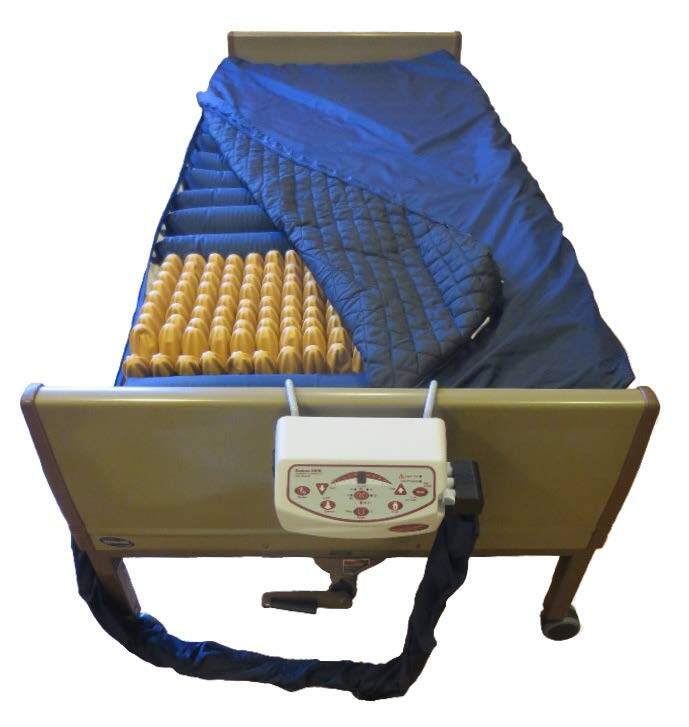 The touch pad allows you to set a comfort level using the patient’s weight. Once set, the computer technology inside constantly monitors the pressure. Solenoid valves open and close to regulate the air inside the mattress. In the event of a power outage, the mattress will remain inflated as long as the mattress air hose remains connected to the compressor. Settings return to those last programmed if power is lost or interrupted.